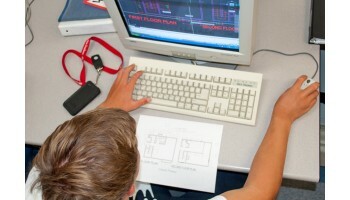 Advanced CAD (AutoCAD Release 2013) training includes 3-D concepts and advanced modeling.Students will learn rendering techniques and apply lighting and materials to surface and solid models, producing presentation-quality drawings for the building design industry. Completion of basic CAD course. Jazmine U. has successfully found employment as a Medical Clerk after completing course(s) in Module I & III of Clinical Medical Assisting. Santiago M. has successfully found employment as a Lube Technician after completing course(s) in Automotive Technician.